TV extras work is a foot in the door of the tv and film world. Extras work provides struggling actors an opportunity to get acting work, even though minor. But it certainly improves their future prospects by opening many doors for them. If taken seriously, extras film and tv extras work can lead actors on the road to success, fame, and money. 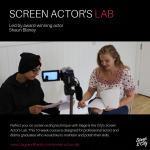 Here are some valuable advice and tips that extras may fund useful in realising their acting goals and aspirations. There are many fraud and cheat people in the industry who take advantage of people desiring to be extras. They charge very high fees for signing up with their acting agencies and promise them to find extras work. But all this is usually misleading. To avoid such traps, one must look for a well established casting agency. Genuine casting agents and agencies have a reasonable fee. They work to find the auditions that suit the skills and physical type of their clients. It is recommended that you get a Screen Actors Guild card (SAG). The SAG was set up many years back to improve the working conditions of the actors. Those who have the SAG card get paid more and their career shapes up in a better manner. It is normal to start without the SAG card but as you keep getting tv extras and film extras work, you must acquire this card to get paid better. When you manage to get tv extras or film extra work, make sure you behave at your best. As an extra, bad behaviour on the sets can greatly affect your chances of getting work in the future. Always arrive early at the set. Treat the crew and the cast with respect and courtesy. If you behave rudely you can endanger your chances of being asked back or you might even be sent from the set then and there. TV extras and film extras are usually not given much lines and scenes. They are generally required to fill in the background. So, it is better to carry a book with yourself so that you can keep yourself busy. But keep your eyes and ears open. If you are asked to do something, do it straight away. Also, watch the stars closely. You can learn a lot from them. Be polite and humble. Make friends at the set if you want tv extras and extras film work to keep coming to you.